You Are Here: Home » Conditions » What Can Spring Cleaning Teach You About Your Health ? What Can Spring Cleaning Teach You About Your Health ? Spring is here and I don’t know about you but we’re thinking about getting the Spring cleaning done before the weather starts to get really nice again and we start having some fun out doors. Through out the year we dust, vacuum, and clean our homes. Yet, every Spring we take everything apart and really clean everything really good. Because, if you clean your home really good it will make those periodic house cleanings much easier to do since, you would probably agree that, it’s much easier to keep a clean house clean then it is to get a filthy house clean again. Well guess what? Your spine and consequently your health are exactly the same way! Unfortunately, most people come in to see me when their back and/or neck are really hurting and more often then not, we find many times that it’s been going on for months and sometimes even years and only kept getting worse until they finally decided they needed to do something about it to get it corrected. Consequently, we now have a harder task of having to clean up the mess they’ve gotten their spines into, and just like a house that hasn’t been maintained and cleaned periodically, we will have to do quite a bit of work to get it straighten back out again. Then, once the problem is corrected, don’t you think it would be easier to keep it maintained then to just let it go and have to start over again? I hope you answered yes and that’s why we recommend you continue with maintenance or supportive care. Now, what if they came in and got checked when they first started noticing the problem instead of putting it off? You guessed it, just like Spring cleaning a cleaner house, it would’ve been much easier to correct it. Remember, while you can always get another house, you only have one life and one body, so you should be making a conscience effort to take the very best care of it. 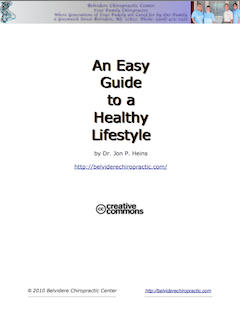 If you would like some good information to help you get started on how to do this simply download and read your free copy of my eBook: An Easy Guide to Healthy Lifestyle by clicking HERE now. And, if you’re having problems such as back pain, neck pain, or headaches call your family Chiropractor today to get your spine checked to find out if Chiropractic care can help you or not. So please for the sake of your own health, don’t keep putting it off because, just like your house will be harder to Spring clean the worse it gets, so will your spine and consequently your health. If you have any questions or need help finding a Chiropractor near you either, leave a comment below, send me an email through this site’s contact page, or contact me through Twitter and I’d be happy to help you any way that I can. You can also follow me on Facebook, LinkedIN or YouTube. 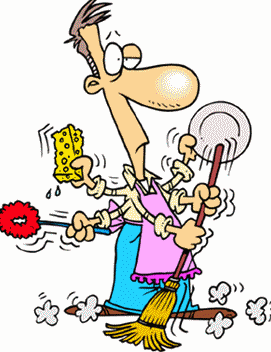 2 Responses to What Can Spring Cleaning Teach You About Your Health ? I tell people all the time to stretch, stretch, and stretch. It’s one of the best things we can do for our body. Otherwise over the years we begin to tighten up and become less flexible. 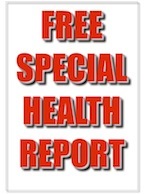 Dr. Lehew: Thank you again for taking the time out of your busy schedule to leave a comment and adding your valuable input for the benefit of my other loyal readers. I really appreciate it. I also recommend condition specific stretches and exercises for many of my patients under my care at the appropriate time to increase flexibility, mobility, and to strengthen their spines, to ensure that their condition does not return. However, for those without a condition that limits activity or movement I recommend a short and easy warm-up stretch and exercise routine called Straighten Up America that’s been proven to effectively improve health and quality of life. Which I did a previous video post detailing exactly how to perform HERE.